The New Exposition Website has Launched! 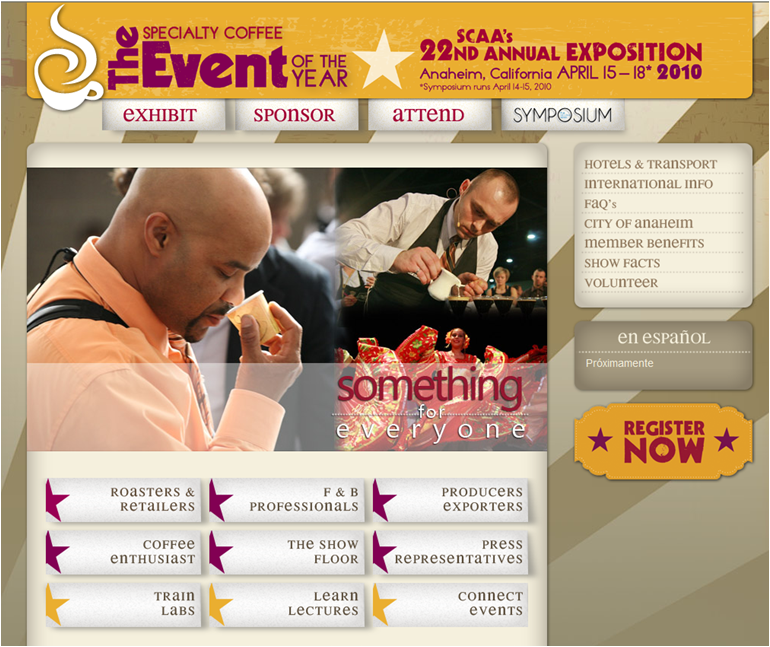 After months of hard work, we are pleased to present the new SCAA Exposition Website! Designed to be more user friendly, easy to navigate, and interactive the site gives visitors the ability to create their own custom daily itineraries simply by clicking on the events or classes they’d like to attend. If you’d like to create your own custom itinerary, just click on the Attend tab and then choose from Events, Labs or Lectures. Each page will feature a “add to my schedule” link next to each event or class. You can continue selecting classes, and even jump from page to page without losing any of your saved choices. Once you are done, just click the view my schedule link at the top and bottom of each page to review your itinerary. The site is also “smart” and will let you know if you have selected courses or events that conflict time-wise so that you can perfect your schedule before heading over to registration. 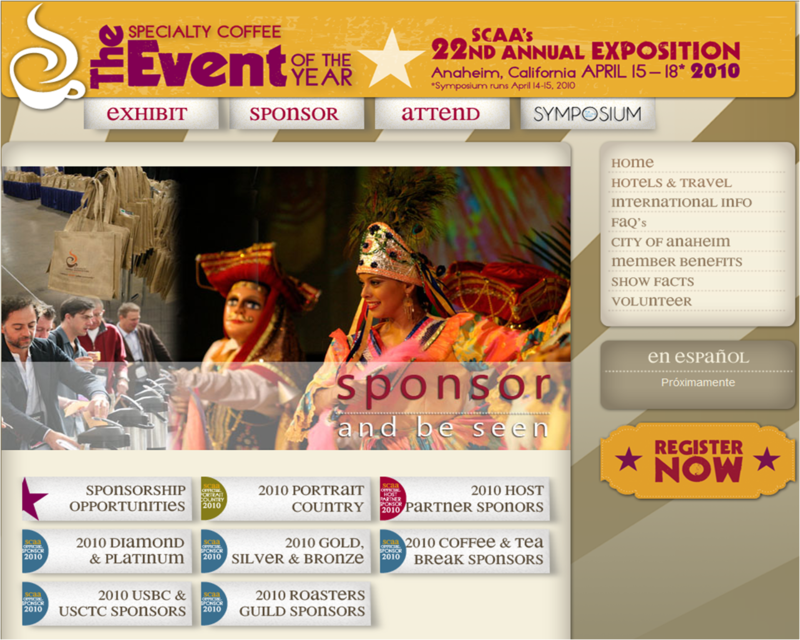 Visitors to the site will also be able to view all of our current 2010 sponsors, select from sponsorship opportunities that are still available, learn more about the show floor, and read up on our show facts. International guests can find all the information they need on applying for a Visa, interviews, and can also obtain a letter of invitation from SCAA. Take a moment to stop by and create your own custom Expo experience today!